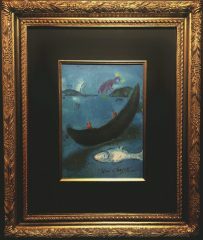 This wonderful reproduction print was originally published in 1961 as an original lithograph from the famous suite, Daphnis and Chloe, a series of 42 works illustrating the Ancient Greek novel. 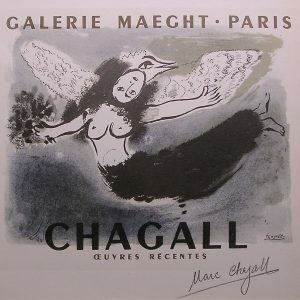 It was not unusual for a 20th century master artist such as Picasso, Miro, Chagall or Matisse to have taken a page from a beautiful coffee-table book published about their work or a wonderful original lithograph, sign the page and them give them as gifts to visiting students, museum VIP’s, or friends dropping in at the studio for a visit. 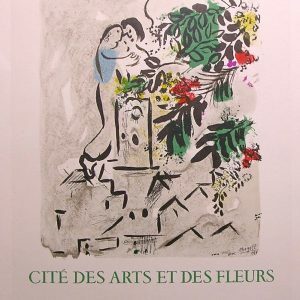 A wonderful selection of these pages made their way to the book stalls of Montmartre, Paris by the mid 70s. 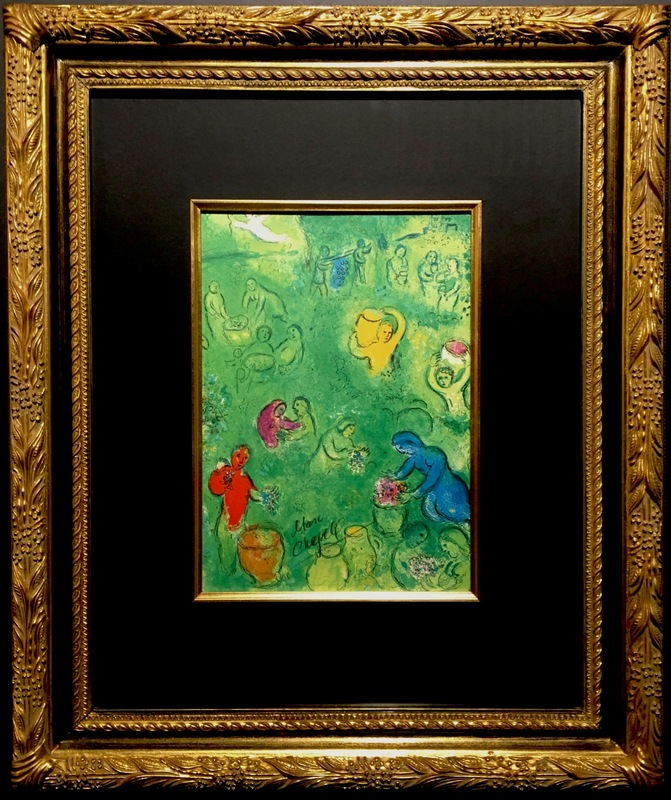 This highly collectible signature is by the 20th century master artist, Marc Chagall and has been authenticated by forensic autograph expert, Herman Darvick. 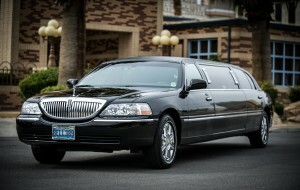 When a person pays a high price for a watch, handbag or car, the expense is usually justified by the presence of an instantly recognizable, status-enhancing name. 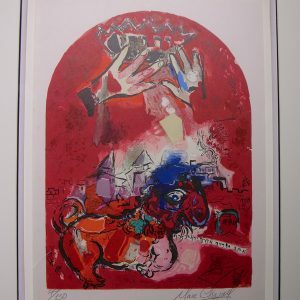 Similar principles apply to the art market, where Marc Chagall remains an enduringly prestigious brand. 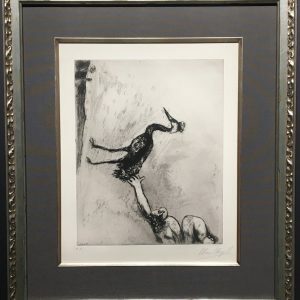 collecting artist’s signatures are fun; they fit most anywhere and make a great entry-point for collectors who wish to acquire a signed work by a master artist at a reasonable price. A certificate of authenticity accompanies this artwork.